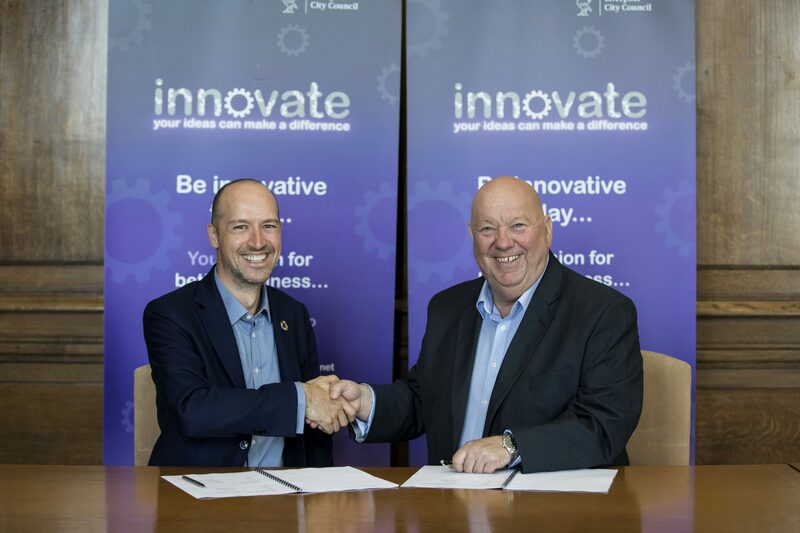 Liverpool City Council has sealed a partnership deal with The Poseidon Foundation to trial their blockchain solution over the next 12 months. Climate change is the catch-all term for the shift in worldwide weather phenomena associated with an increase in global average temperatures. It’s real and temperatures have been going up around the world for many decades. Reliable temperature records began in 1850 and our world is now about one degree Celcius hotter than it was in the period between 1850 and 1900 – commonly referred to as the “pre-industrial” average. The change is even more visible over a shorter time period – compared to average temperatures between 1961 and 1990, 2017 was 0.68 degrees warmer, while 2016 was 0.8 degrees warmer, thanks to an extra boost from the naturally-occurring El Niño weather system. While this temperature increase is more specifically referred to as global warming, climate change is the term currently favored by science communicators, as it explicitly includes not only Earth’s increasing global average temperature, but also the climate effects caused by this increase. Global effort which Liverpool City has joined are focused on keeping temperatures from increasing more than two degrees above that pre-industrial average, and ideally no more than 1.5 degrees. A global cap on the amount of carbon that can be omitted, therefore, has been set with some 170 countries agreeing to it. This means every country is set with amount of carbon they can emit. Any nation that exceeds this amount will either buy carbon credit from others or from platforms that plant trees to combat effects of carbon. 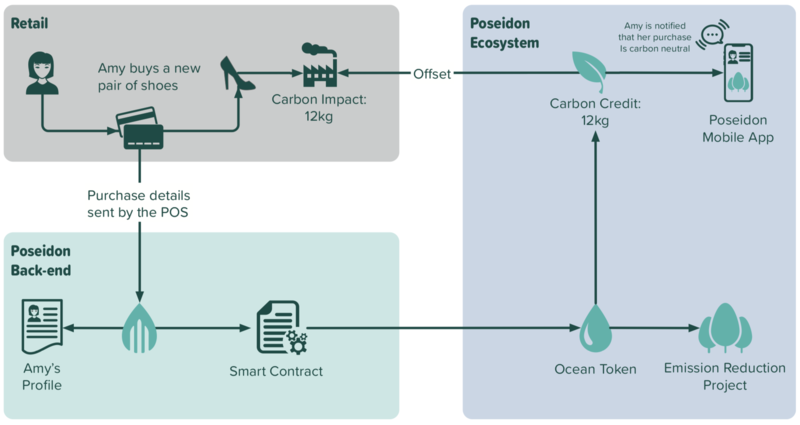 Poseidon app integrated with blockchain stuff and the rest on the backend, claim to show you how much carbon you have emitted so far. From Poseidon whitepaper says this can be integrated with Points of Sale systems, so if you please all this offsetting can be done automatically.